Scaffold Viewer is a desktop and mobile application that helps you design complete and accurate scaffolds. Aside from 3D and virtuality reality (VR), you can now now view your designs with augmented reality (AR). 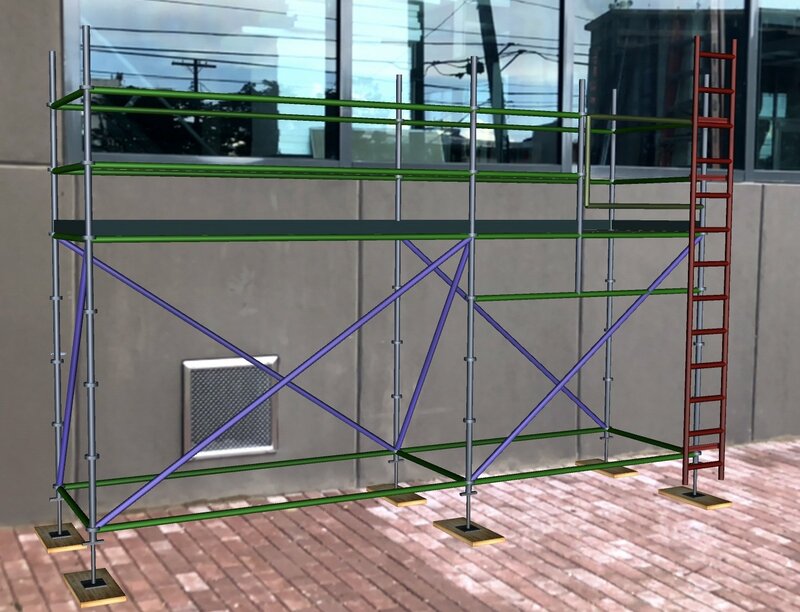 If this is your first time using Scaffold Viewer, read more below about how to setup the application, upload your custom designs and navigate scaffolding in AR from any mobile device. 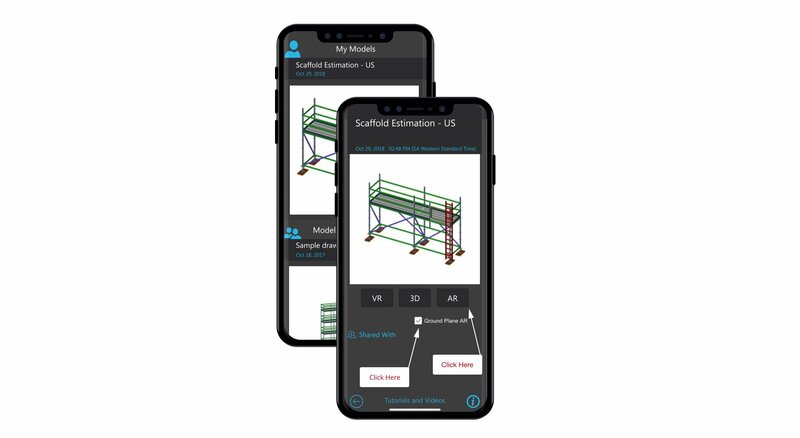 If your team is already using Scaffold Viewer, skip to Navigate a Scaffold Model in AR to read more about how to use this new feature. 1. 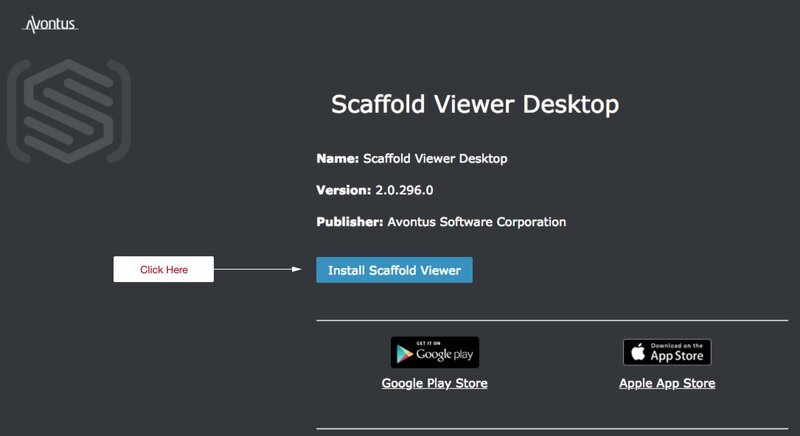 Visit https://www.scaffoldvr.com/ where you will find a free download for Scaffold Viewer. 2. Click Install Scaffold Viewer. 3. 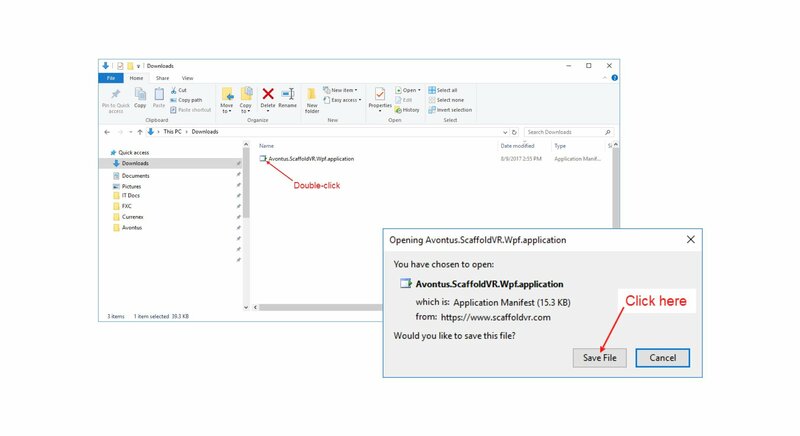 Click Save File and when the application installer is done downloading, double-click the Scaffold Viewer Installer Icon to launch installation. 1. 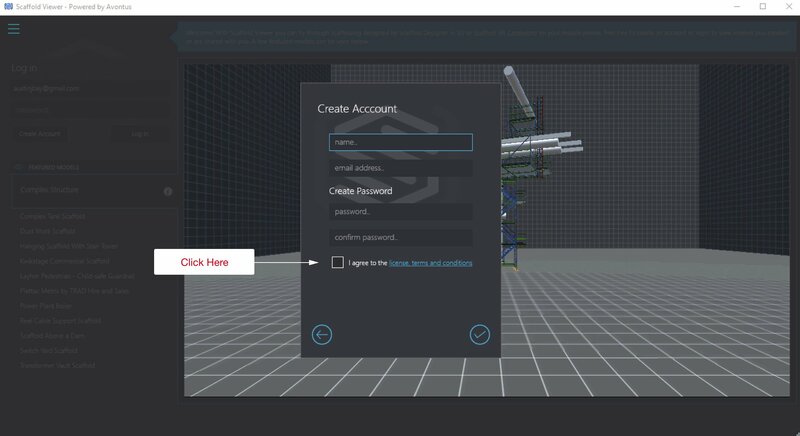 To setup your Scaffold Viewer account, start by launching the application from your desktop computer. Select Create Account underneath the login and fill out the information for Name, Email and Password. 2. Agree to the Terms & Conditions and select the checkmark in bottom lefthand corner to complete the setup process. You will receive an email confirming your setup and then you can get started with your new account. 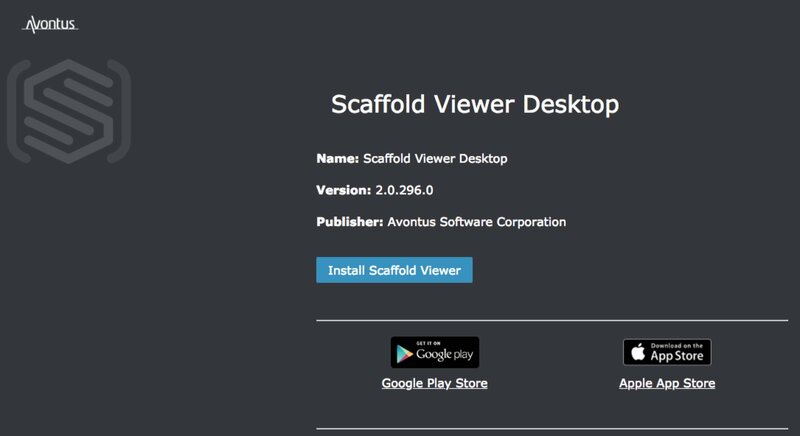 You can launch Scaffold Viewer for Desktop by either clicking on the desktop icon or by selecting the Scaffold Viewer icon in the Model tab of the 3D view window in Scaffold Designer. 1. To launch from the Scaffold Viewer, first start by launching Scaffold Designer and opening an existing drawing that you’d like to view with Scaffold Viewer. 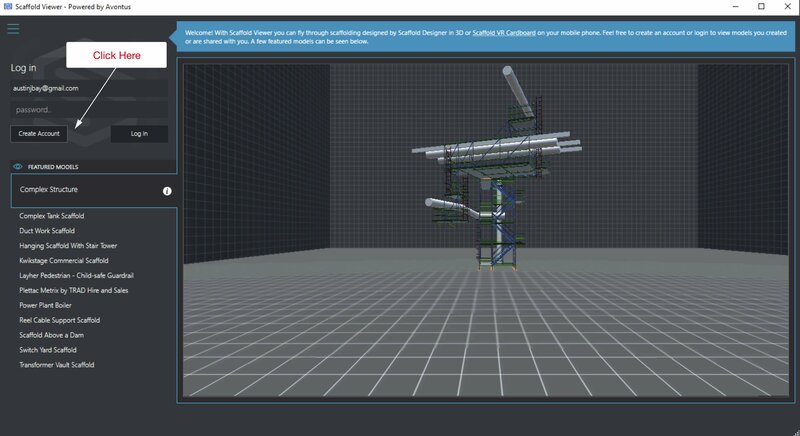 Select the Model tab in the 3D view window and select the Scaffold Viewer icon. 2. 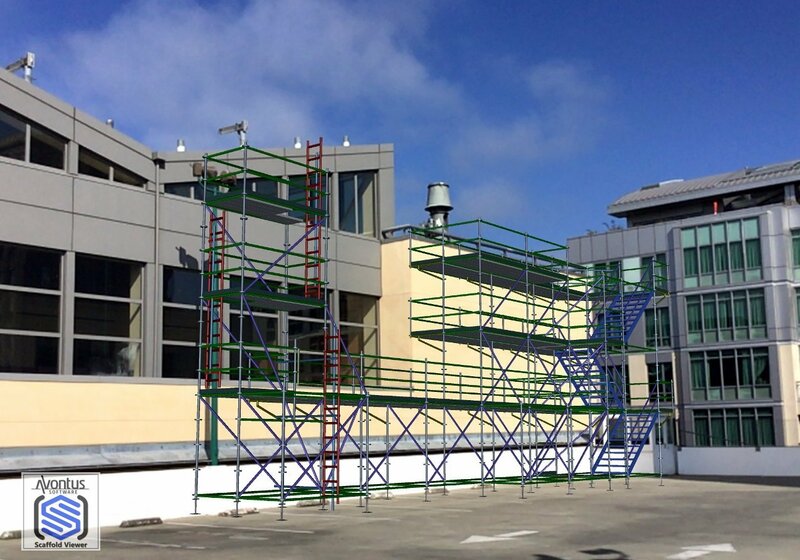 Scaffold Viewer will automatically launch. Enter your credentials, including your email address and password. 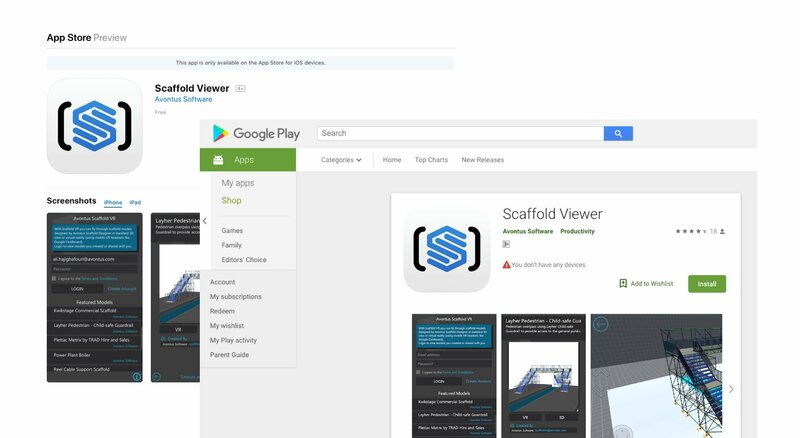 Now that you a Scaffold Viewer for desktop, we’ll walk you through the process of installing the application on your mobile device where you’ll be able to navigate scaffolding in AR. 1. Download Scaffold Viewer from the iTunes Store or from Apple Play. 2. Tap on the Scaffold Viewer app icon from your home screen to launch the application. Enter your email address, password and agree to the Terms & Conditions. 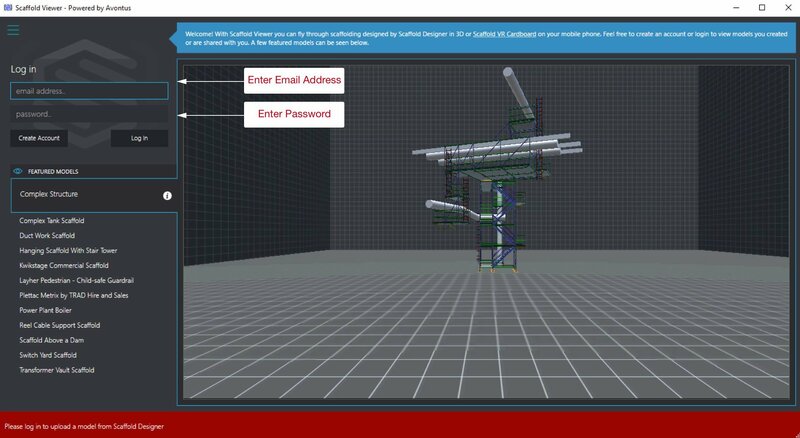 With Scaffold Viewer installed on both devices, now it’s time to upload a scaffold model from Scaffold Designer. 1. Launch the drawing that you’d to upload with Scaffold Designer. 2. 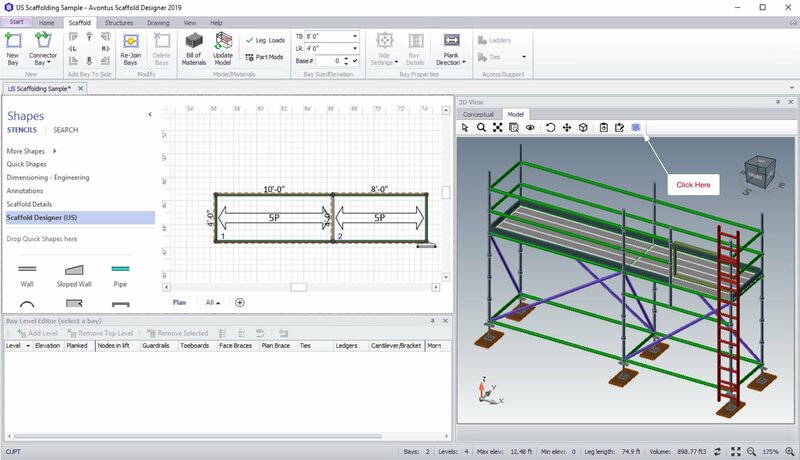 Navigate to the Model tab and select the Scaffold Viewer icon. 3. Simply select the upload button in the lower right-hand corner after Scaffold Viewer launches. 1. 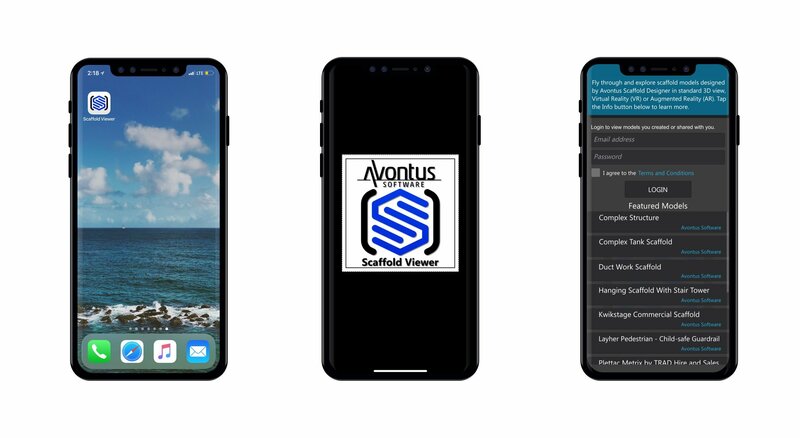 To navigate through your scaffold in AR, start by launching Scaffold Viewer from a mobile device. Locate and tap on the drawing that you’d like to view in AR. Start by selecting Ground Plane AR and then select AR. 2. Point your device toward an indoor or outdoor horizontal surface, like a tabletop or installation site and Tap the Screen to see your drawing in AR. 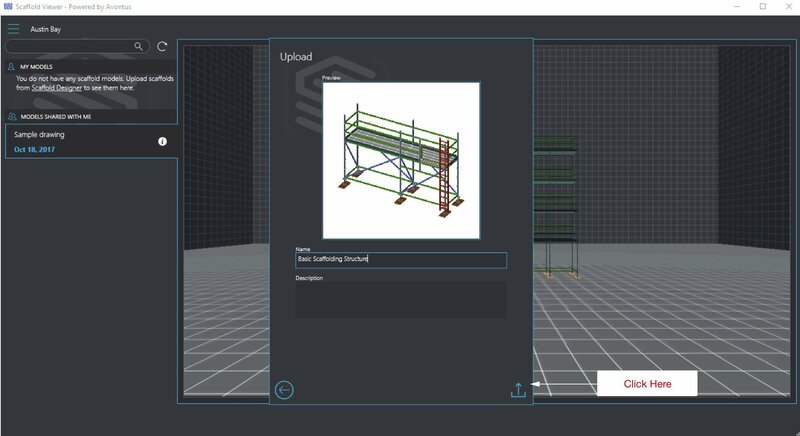 To make it easier to place your scaffold model, we’ll be sending existing customers a Scaffold Viewer Target Coast and you can download and print a Scaffold Viewer Target for your team.